Ergonomic design reduces wrist fatigue compared to other hand-held spreaders. 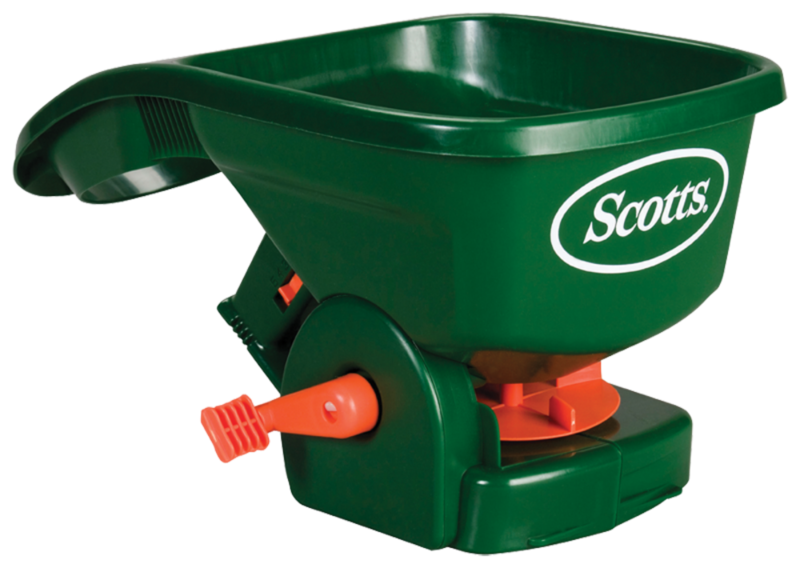 Great for applying lawn seed and fertilizer - or ice-melting products in winter. Heavy-duty construction, rustproof hopper and agitator. Hold spreader over payment when filling. Sweep up any spilled product. Adjust spreader selector settings. Pull trigger and turn crank clockwise while walking at normal speed across area to be covered with product.